Though I was not initially a big fan of this movie with its jerky handheld camera work and incredibly whiny characters, its impact on scary movies cannot be denied (i.e., Paranormal Activity). 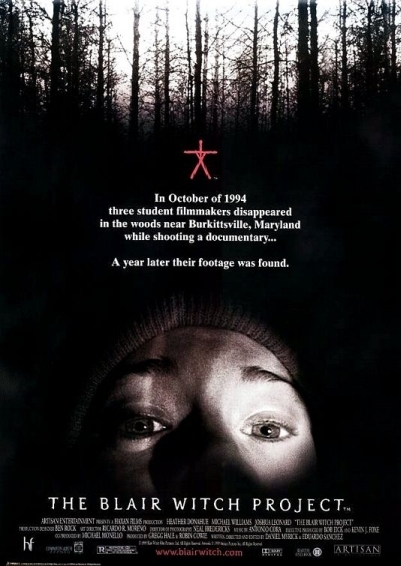 The film, shot as a pseudo-documentary, tells the story of three film students making a documentary about the legend of the Blair Witch in the woods of Maryland. The film is told through the three’s discovered footage–found after they go missing. Pieced together, the footage initially tells of the making of the documentary. What follows though gets increasingly bizarre and scary, leading up to a highly creepy climax. Shot on a budget of $50,000 in just eight days, the movie went on to gross over $200 million thanks to extensive internet buzz generated by the filmmakers. 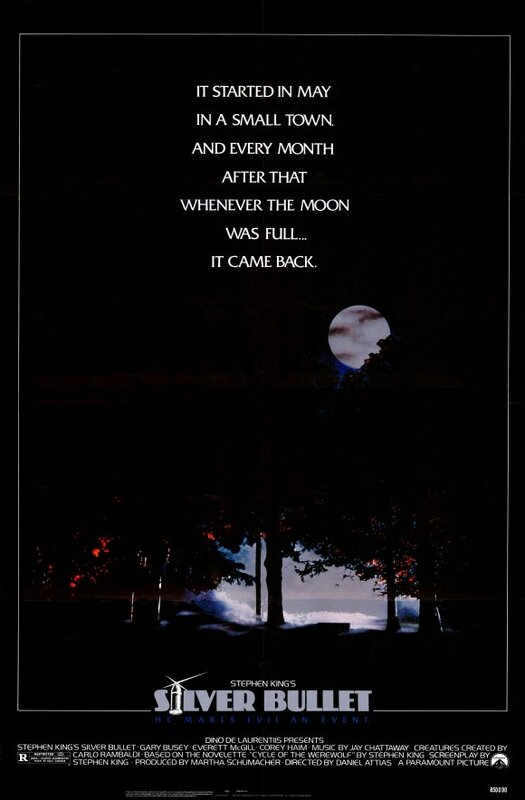 Starring the late Corey Haim and Gary Busey, the movie, based on a novella by Stephen King, tells the story of a girl (Megan Follows) and her paraplegic brother (Haim). Set in small town Maine, the town is plagued by a series of gruesome murders that Haim’s character believes is the work of a werewolf. Unfortunately, no one believes him but his sister and his alcoholic uncle (Busey) when Haim’s character discovers the true identity of the killer. A low-budget, underrated movie that garnered mixed reviews upon release, the movie is worth a look thanks to the strong performances and the suspenseful storyline narrated by Follow’s character. The best scary movie to come out of 2011. 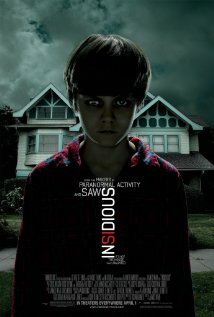 This film directed by James Wan (Saw) tells the story of a family that moves into a large creepy house. Soon strange things begin to happen, leading to the eldest boy falling into a mysterious coma. The mother (Rose Byrne) and father (Patrick Wilson) have to come to grips with the supernatural happenings and enlist the help of a paranormal team to save their son from evil spirits holding their son prisoner in an astral realm. The movie features solid performances, a creepy Poltergeist movie-like atmosphere and some great jump in your seat moments. An atmospheric and creepy suspense film directed by and starring Bill Paxton, as a religious fanatic father who believes he has been commanded by God to kill people who are demons. The story centres on his relationship with his two young sons, as seen in flashbacks. In the present day, Matthew McConaughey plays one of the grown sons who believes his brother has now taken on their father’s demented calling. 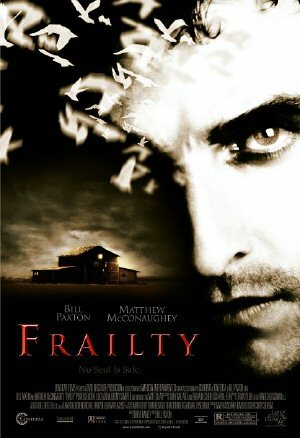 The movie’s strengths are its depiction of the complex and twisted relationship between the father and his two sons along with the plot twists and turns, leading up to a twisted surprise ending. 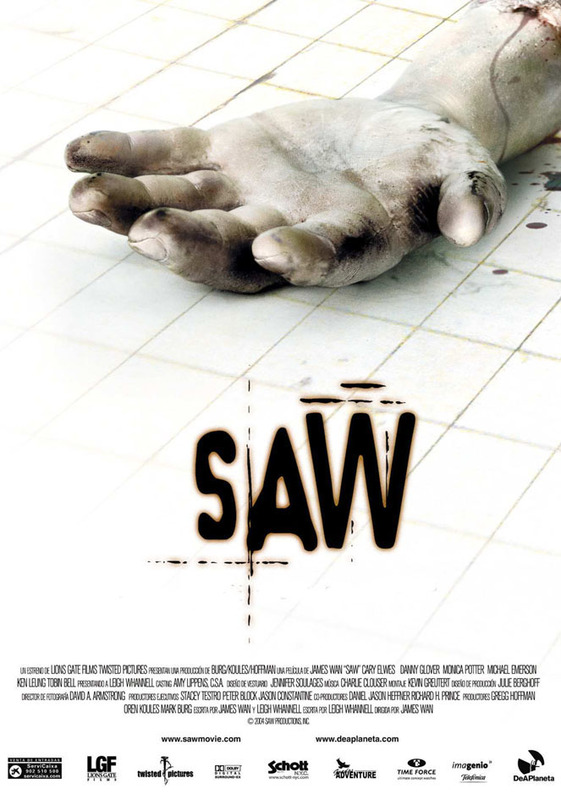 The first film in the successful film franchise, this independent feature directed by James Wan(Insidious) and written by and starring Leigh Whannell is the best film in the Saw series. Also featuring Cary Elwes, Danny Glover and Monica Potter, the film focuses on two men being held prisoner in an underground bathroom, chained to pipes by a madman, known as Jigsaw Killer, who is set on playing a perverse game with them. The movie builds to a dark climax as the story moves between the two men, who must decide whether to play the game to stay alive and/or save the lives of their loved ones, and the police trying to track down the madman. This low-budget flick was shot in just 18 days, but went on to gross over 100 million at the box office. Critics were mixed in their reviews. Posted on October 12, 2012, in Horror, Movies and tagged Bill Paxton, Blair Witch Project, Corey Haim, Film, Frailty, Gary Busey, Horror Films, horror movies, Insidious, James Wan, Matthew McConaughey, Megan Follows, movie, Rose Byrne, Saw, scary films, Scary Movies, Silver Bullet, Stephen King. Bookmark the permalink. 1 Comment.